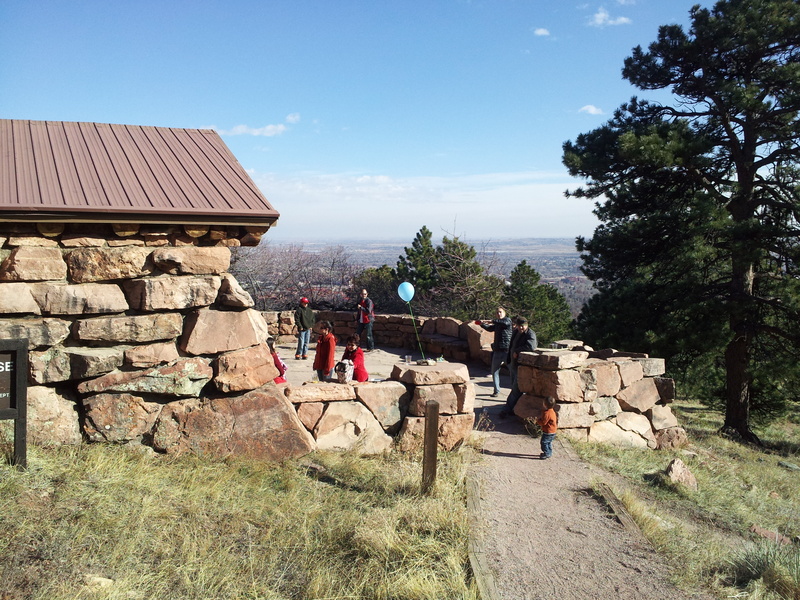 We celebrated Maxon’s second birthday atop Flagstaff Mountain overlooking Boulder and we really couldn’t ask for a better or more fun day. Well, actually, I could definitely ask for the food I had ordered to actually be ready and available on the day and time we had all agreed to and for the Parks Department to have given me a key to the picnic shelter that would actually unlock the door but those are minor, unsexy details. 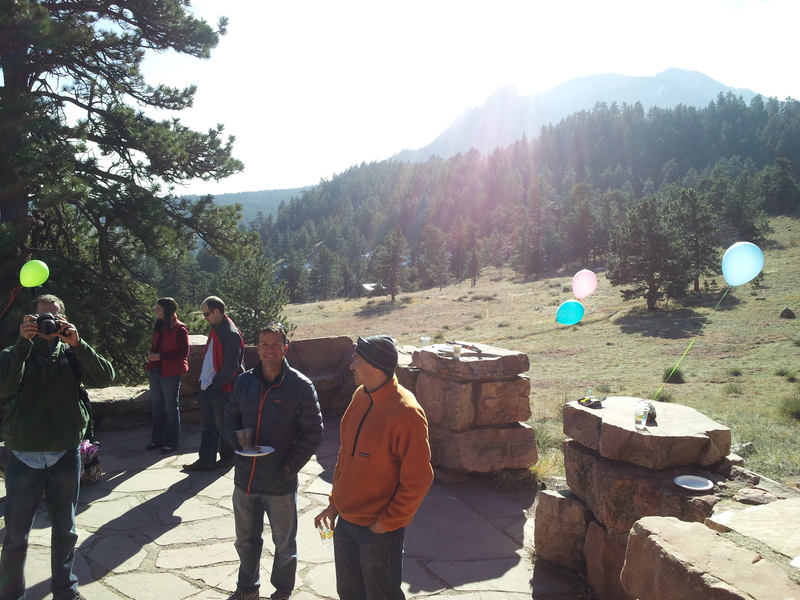 It was a chilly November morning that would not normally invoke the idea of an outdoor picnic but the promise of a cloudless, sun-drenched sky was enough for our hardy Colorado friends to don their winter party/ski wear and prove to us that one does not need Chuck E Cheese to have a good time. The shelter is less than a 10 minute drive from our house and Mike actually led the adventurous half of our guest list on a hike from our house up to the shelter while I set up for the party. The memory of seeing the party train coming up the trail still makes me smile. Some chose to sit by the fire. 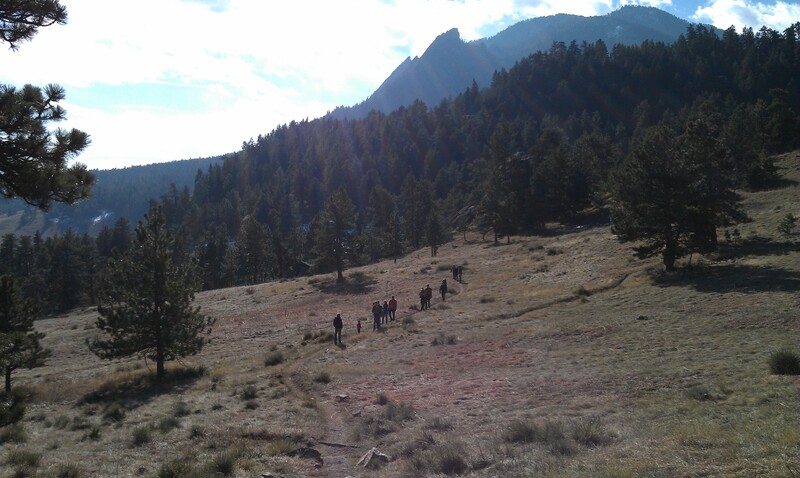 Others chose the brisk air and sunshine. Since we weren’t sure the majestic views would be quite enough to enthrall the toddlers for 2 hours, we hired the Music Man from Maxon’s school to swing by and lead the kiddos in some fun songs. Well, either that or just terrify them. 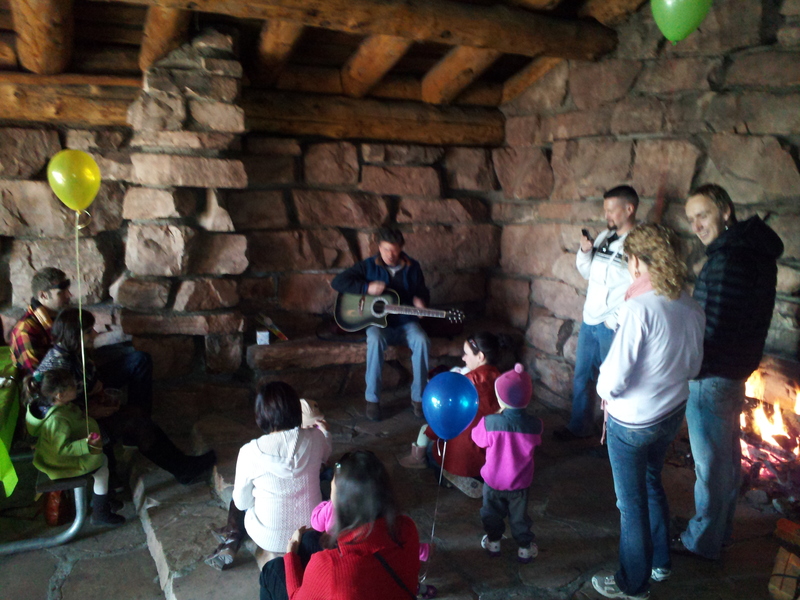 After a rocky start (I’m looking at you, Maxon-baby), he was able to win over the crowd, toddlers and parents alike. Let’s hear it for egg shakers! The Music Man was also kind enough to pawn off one of his DVDs, which Maxon now requests to watch every day. Every. Day. are any of you related to the guzek family from ontanogan michigan? Are you related to the Guzeks from Ontanogan Michigan?